Jane provides advice to Trustee boards on governance, financial planning & risk management, income generation and supply chain management. She develops options appraisals in the areas of market requirements, commercial strength, competitive advantage, partnership & investment prospects and operational capability. She has worked across sectors including health & social care, welfare to work, housing, regeneration and business start-ups. 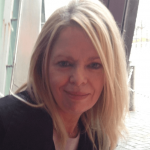 Jane has main board experience with a national charity and in the FMCG private sector holding senior operational roles, having raised more than £20million in the last five years through public procurement and private investment. Jane is the Chair of the Board of Trustees for Shantona in Leeds supporting local women and children; Executive Producer of Signdance Collective, a Deaf and disabled-led touring theatre company; and supports her local Independent Living Network in York to promote the rights of disabled people.